This product requires the base game Farm Expert 2016. © 2015 and published by Ravenscourt, a Division of Koch Media GmbH, Austria. Developed by Silden. Ravenscourt and its respective logos are trademarks of Koch Media GmbH. All other trademarks, logos and copyrights are property of their respective owners. All rights reserved. 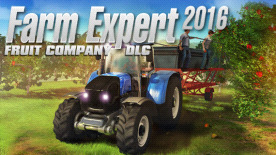 This content requires the base game Farm Expert 2016 on Steam in order to play.